There seems to be a persistent belief that if fibromyalgia patients would only get off the couch and exercise, their symptoms would miraculously melt away. This perspective permeates the health care field, from articles on managing fibromyalgia to advice from your ‘helpful’ specialist. I think we need a paradigm shift in how we view physical activity and fibromyalgia. Consider what we mean when we talk about ‘exercise’. Usually, it’s defined as a routine program of physical activity to improve fitness. We associate working out with breaking a sweat, feeling our heart pumping and our muscles burning. It’s something you have to push yourself through. The conventional wisdom gives us a false choice between “exercising” and being “sedentary”. For the vast majority of us, it seems obvious that we can’t “exercise”, so we resign ourselves to being those much-criticized coach potatoes. Based on my experience living with fibromyalgia for five years, I think there is a third way- focusing on movement. If you would like to receive a free copy of this e-book and subscribe to Skillfully Well, please fill out your email in the pop-up subscription box. 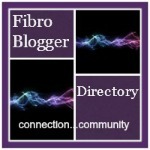 (Note: it may take a few days if fibro fog is in the forecast! ).